Pragmatist Ali Larijani won a third term with 237 votes as speaker of Iran’s 290-seat Majlis (parliament). Reformist Mohammad Reza Aref of Tehran’s “List of Hope” withdrew his name after the first round of voting. Larijani’s role as speaker is seen as boost to President Hassan Rouhani’s push to open Iran to the world economy post-nuclear deal. Two reformists of Sunni background were also elected in the parliament’s 12-member governing board. This is a first for the Islamic Republic since the 1979 revolution. Also, here's how Iranian conservatives seized Assembly of Experts chairmanship. Tehran announced it wouldn’t allow Iranian citizens to travel to Saudi Arabia for the annual Hajj pilgrimage to Mecca in September. The Hajj pilgrimage is one of the five pillars of Islam. A Muslim must undertake a pilgrimage at least once in their life, unless they are financially or physically unable to fulfill this obligation. Saeed Ohadi, the head of the Hajj and Pilgrimage organization, claimed there were a number of obstacles that hindered negotiations. This included too much time spent discussing electronic visas; the presence of Iranian flags for pilgrims to recognize their groups; restrictions on Iranian physicians accompanying the pilgrims and the amount of medicine brought; and a ban on Iranians holding any public Shiite ceremonies. Meanwhile, Iran says Saudi Arabia is the “biggest sponsor of terrorism” in Iraq and elsewhere. A suggestion: Keeping Tehran and Riyadh from war and getting them to talk. Iran’s Supreme Council of Cyberspace has given foreign messaging apps a year to transfer all data on Iranian users to servers inside the country. Since Twitter, Facebook, and Whatsapp are already blocked, the new rules seemed to be targeting Telegram, a popular messaging app with 20 million users in Iran. Already many expressed their concern on social media. Even the Committee to Protect Journalists noted Telegram’s security flaws put activists and journalists at risk. 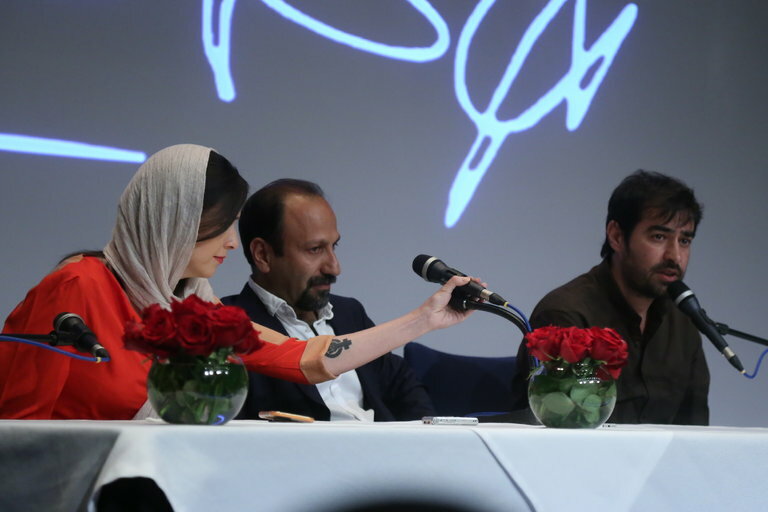 Since Oscar award-winning director Asghar Farhadi won two prizes at Cannes Film Festival for “The Salesman,” two of his stars have come under scrutiny. Iranians criticized actor Shahab Hosseini on social media for claiming he wanted to dedicate his best actor award to the 12th Shiite Imam, despite saying at Cannes it was dedicated to the Iranian people. It’s unclear whether or not he was pressured by Iranian officials. Mine workers flogged over protests. Iran arrests 8 people for making 'obscene' music videos. 'Islamic' chair cover gets Iranian activist Shadi Sadr in trouble. Foreign Minister Zarif says Iran is ready to hold human rights talks with the EU. What do political prisoners say about the 1979 Revolution? Khomeini grandson defends decades-old mass political executions. The cost of discrimination — in Iran, in South Africa, everywhere. At least 50 websites belonging to Iran's Foreign Ministry were hacked. Iranians in uproar over executive pay at state-owned company. Iran has a drug problem, and young, well-educated women are biggest victims. Former President Ahmadinejad's luxury car legacy. Khomeini’s grandson says there is more to Islam than hijab. Ex-Mossad chief: Iran isn't an existential threat. Israel arrests correspondent for Iran’s Arabic language television, Al-Alam. Recently freed Greek prisoner says 4 Iranian diplomats alive in Israeli jail. Is Iran about to cut Muqtada al-Sadr loose? Saudi Arabia slams Iran's role in Iraq as 'unacceptable'. Bahrain upholds sentences for five convicted of spying for Iran. Iraqi Sunni politicians reject visit by Iran's Qassem Soleimani to Fallujah. Iran-led push to retake Fallujah from ISIS worries U.S.
Iran's 'marriage of convenience' with Taliban. Foreign Minister Zarif rejects Donald Trump vow to renegotiate Nuclear Deal. Iran Deal convinced Trump to run, according to his son. How Hillary Clinton will squander the nuclear deal with Iran. Most U.S. states have sanctions against Iran. Here’s why that’s a problem. Iran appeals to U.S. to ease up on European finances for trade. Burns to Al-Monitor: 'No illusions' about nuclear diplomacy with Iran. NPR ombudsman has issues with funding by Ploughshares. State Department admits deleting footage from briefing, which mentions secret talks. Tehran faces financial hurdles for Airbus orders. Iran to sign $3 billion power plant deal with Turkish companies. Norway’s Hemla Vantage closes in on $600 million Iran gas joint venture. Iran plans June oilfield tenders for international companies. EU eyes return as Iran’s first trade partner. U.S. subpoenas Huawei over its dealings in Iran and North Korea. Germany to build 10 five-star hotels in Iran. Iran finds new port partner in India. EDDY Award Finalist (Vote now): Devouring Tradition at Persian New Year. Putting Persian food on the menu. Persian hospitality with dash of Italian: Iranian family opens pizzeria. Sotheby’s Deputy Chairman reflects on 1970s Iranian art and culture scene. After nuclear deal, Iranian art auction sees $7.4 million in sales. Iran volleyball team overwhelms China 3-2 in Rio 2016 qualifier. Iran defeats Lebanon in 2016 WABA Championship. Nose jobs, tummy tucks and breast enhancements are big in Iran. An intrepid Iranian adventurer has travelled around the world on her motorcycle. 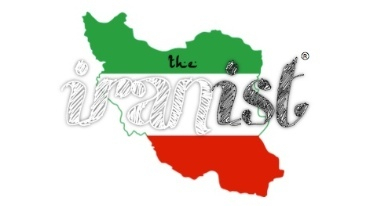 An American in Iran: Why you should go and what you need to know.